Increase the number of points around the home with the new TRIAX ECO Multiswitch range. 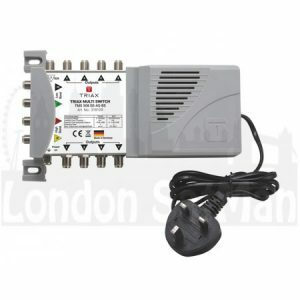 These stand alone switches feature Quad / Quattro LNB support and offer flexible living throughout the home with full access to Satellite, Terrestrial and Radio (subscription may be required for some services). 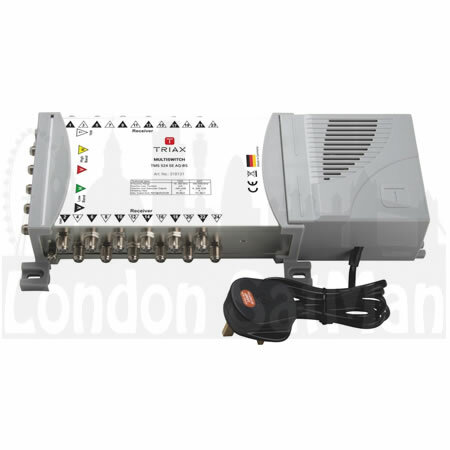 Designed for the UK residential sector, the range can also be used with existing dishes and aerials on an installation. 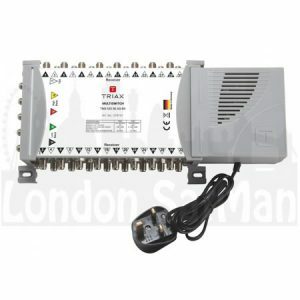 Switches are available in 5 sizes up to 32 outputs, offering a maximum of 16 independent points. Two cables are required at each location where PVR functionality is required. 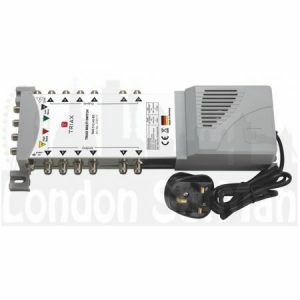 The small and compact design features low power consumption from a built-in UK power supply and includes a power on indicator. This high quality, installer friendly range has been designed and manufactured in Europe and requires minimal adjustment upon installation. 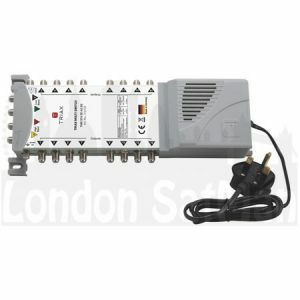 Supplied with a 3 year warranty. A great solution for homes requiring an increasing number of TV points or Houses of Multiple Occupation (HMO) / Landlord Lettings.